Well, worry not. These are not evil weapons intended to harm anyone. 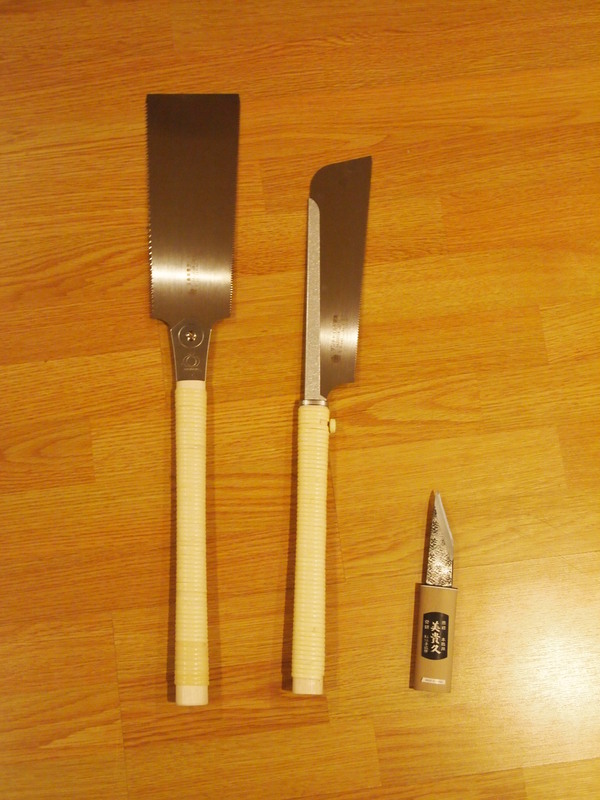 They are Japanese woodworking tools. I came across these on my course and really liked them, so I bought a couple from Rutlands.co.uk. As you all obviously know, European saws cut “on the push” whereas Japanese saws cut “on the pull”, which makes them easier to use in a lot of cases. They are also really fine and very sharp. But most of all, they look frickin’ cool. One is a Ryoba, the other is a Dozuki. Don’t ask me what that means. The other object is a marking knife (basically you use it instead of a pencil to mark lines) and it looks kind of evil.